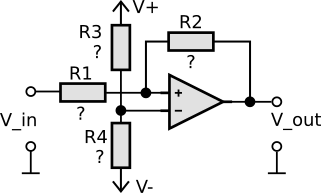 Non-inverting Schmitt Trigger calculation. First one have to enter the threshold and hysteresis voltage. The button Start is used to start the calculation.